Godzilla. Kings of the monsters. The original Kaiju. Born of humanity’s hubris, it comes from the depths of the Pacific ocean. It comes to wreak havoc. It comes to kill. Some of the more soft-hearted elements of the American military wish to weaponize the beast. Fools! The creature must be destroyed. The U.S. Air Force’s 18th Wing in Japan—America’s largest combat wing—thinks it would have no problem felling the beast. Senior Airman Mark Hermann told Air & Space magazine he could destroy the monster with “.50-caliber [machine guns], four helicopters.” He thinks Godzilla is a joke. He’s wrong. Godzilla is a force of nature. The mighty King of Monsters would shrug off a mere four helicopters armed with machine guns. There are people in the military taking seriously the threat of giant atomic-powered lizards emerging from the Pacific Ocean. 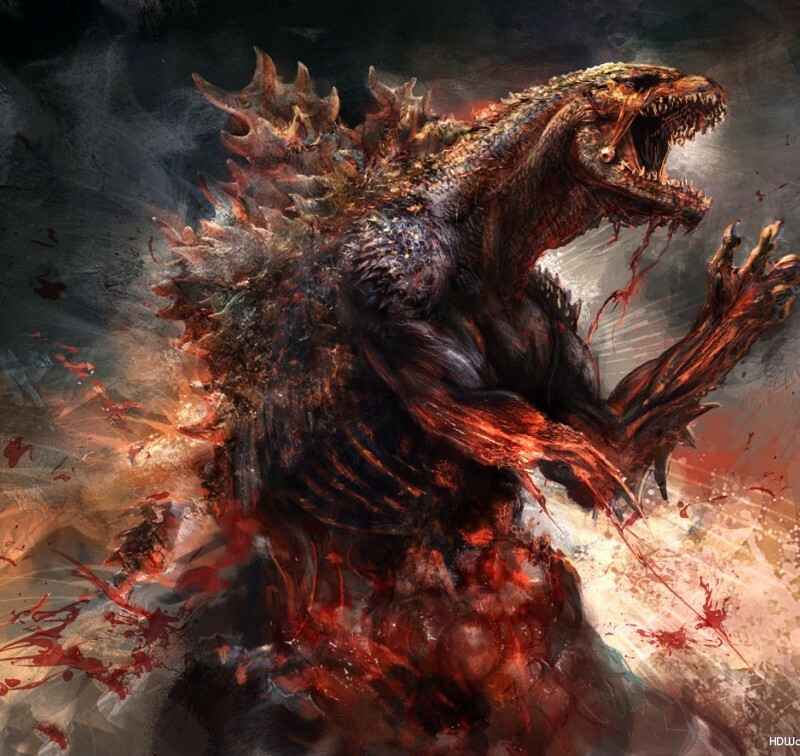 War is Boring spoke with one noted military scientist and weapon designer via email this week to gain some insight into the Pentagon’s options for defeating the kaiju threat. You read that right. This attack plan would also work against Mechagodzilla. But how would the copter crews dodge Godzilla’s atomic breath? It is, after all, basically walking anti-aircraft artillery. But Godzilla can lash out in only one direction at a time. Dozens of gunships—America possesses close to a thousand—could fire white phosphorus into the creature’s eyes from multiple directions. Once the beast is blind and defenseless, the military must deliver a killing blow. The scientist recommended sending two B-2 stealth bombers from Missouri, each loaded with one Massive Ordnance Penetrator. He was talking about America’s 30,000-pound, precision-guided bunker-buster—one of the biggest munitions ever—filled with a deadly RDX explosive mix and designed to slice through solid rock. Imagine Godzilla blindly flailing. A tiny laser dot marks a bullseye on its chest for one of the human race’s most powerful non-nuclear weapons. But could anything go wrong? What would the clean-up be like? Godzilla roars into theaters on May 16.